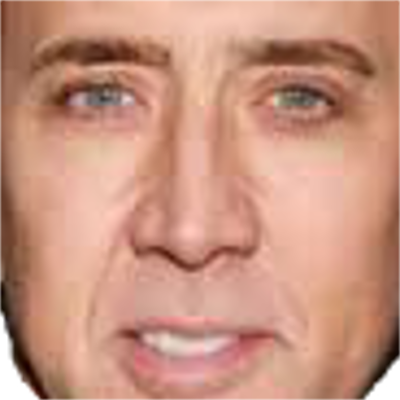 This resource pack puts Nicolas Cage's face on everything, and I mean EVERYTHING*. Paintings, particles, sheep, diamond axes, you name it. If it's in Minecraft, there's a good chance it has good ol' Nicky's face on it. Please don't sue me. Download at your own risk. *Not actually everything because I was starting to get Nicolas Cage burned into my retinas because of how many times I pasted his face onto random stuff so I had to stop.